Exit I-70 on 24 Road (exit 28). Go south and take first left to enter park. 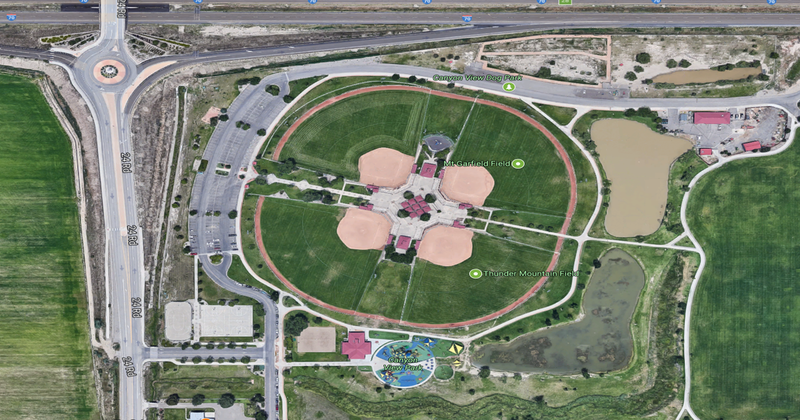 Turn left (north) at stop sign and curve around softball complex to baseball field. Orchard & 28th 1/4 Rd. Exit I-70 on Business 70/Clifton exit. (exit 37). Go southwest on Business 70 to 31 ½ Road. Turn right (north) to E ½ Road. Turn left (west) on E ½ Road and High School will be on your right. Exit I-70 on Horizon Drive (exit 31). Go southwest to 12th Street. Turn left (south) on 12th Street to North Avenue. Turn left (east) to 28 3/4 Road. Turn left (north) and fields are on your right. Exit I 70 on Horizon Drive (exit 31). Go southwest to 12th Street. Turn left (south) to Ute Avenue (Highway 6). Turn right (west) to 5th Street (Highway 50). 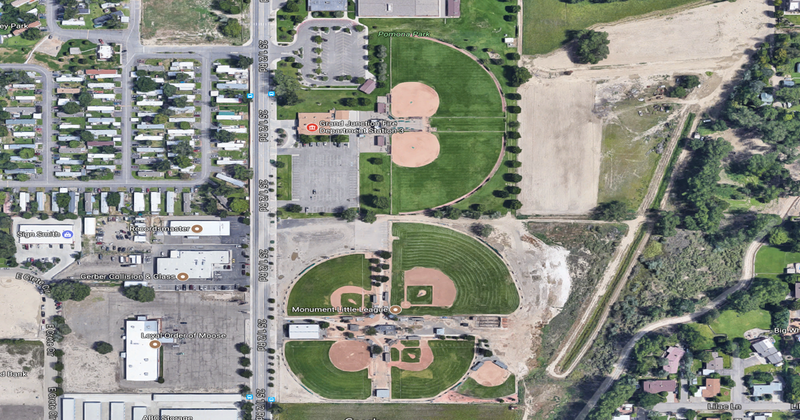 Turn left (south) and follow Highway 50 3 ½ miles to Mesa County Fairgrounds on south side of Highway 50. Fields are in southwest corner of fairgrounds. Exit I-70 on Horizon Drive (exit 31). Go southwest to 12th Street. Turn left (south) to North Avenue. 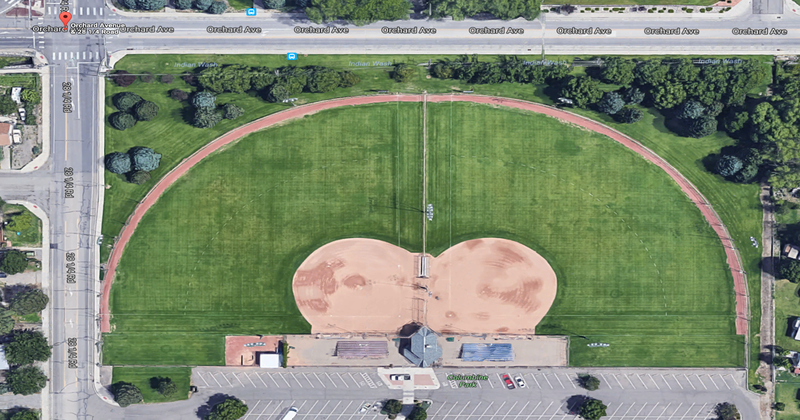 Field is between North Avenue and Gunnison Avenue on 12th Street.